Synergy Cards Sdn Bhd is a dynamic, up-and-coming financial services company that offers a broad array of payments products, including credit cards and various other payment solutions. A subsidiary of Advance Synergy Berhad – a public listed investment holding conglomerate with diversified business interests – Synergy Cards was incorporated in 15th March 2005 under Card and Payment Division and is a franchisee of both MasterCard and Visa. 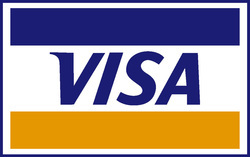 Synergy Cards is a Principal Licensee of MasterCard Worldwide and Visa International, with cards issued on our own. Accepted at millions of locations worldwide, the Cards are issued as charged cards, with payment required in full on receipt of statement.